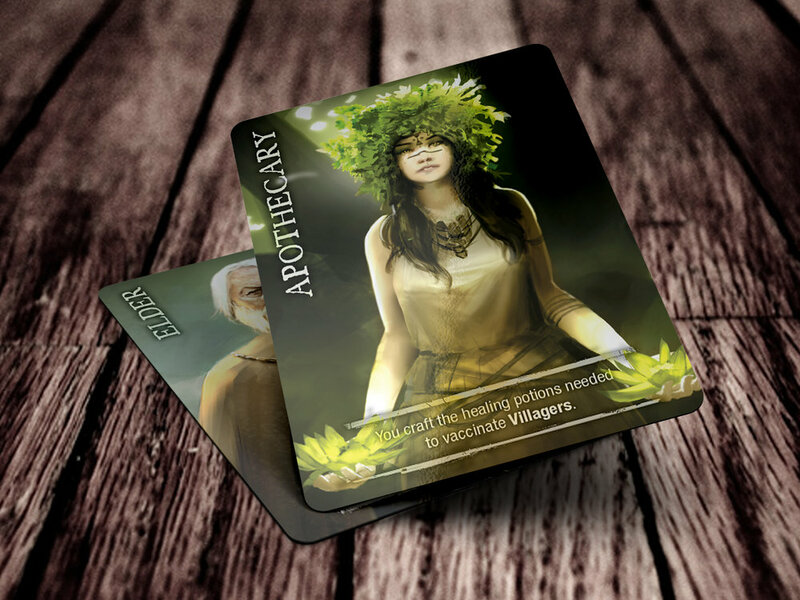 The Villagers is a new social deduction game by Black Forest Studio. It’s our own special take on Mafia or Werewolf, perfect games for group game night. The Villagers is a social deduction party game in the style of Mafia or Werewolf. Two teams will compete: the Plague Doctor team vs. the Villager team. The game requires a Moderator to run the game. In The Villagers, you’re either on the Plague Doctor team or the Villager team. The Plague Doctors will try to infect a new Villager each night, while the Villagers try to deduce who in their midst are Plague Doctors in hiding. The Plague Doctors are posing as Villagers too, so who do you trust? Exile a new player each day, but beware, as new infections plague your village each night. The majority of players will be on the Villager team. These players will try to eliminate someone from the Plague Doctor’s team during the day. This is the crux of the game, as the Plague Doctors and their associates will try to hide and blend in with the Villager team without being too suspicious in their actions. The Plague Doctors and their allies will act like Villagers, while trying to push their own hidden, dark agenda of infecting the Villagers. This is a game of deception, of finding allies, and rooting out enemies. Deceit, lying, and knowing who to trust and when are all important. There are two phases to the game: NIGHT and DAY. At night, certain players will secretly perform specific actions under the view of the Moderator (such as infecting and thus eliminating Villagers). During the day, players will try to identify members of the Plague Doctor team. One player may be eliminated each day through a majority vote of still active players. Once that occurs, the day ends and night begins. These phases alternate with each other until one team wins.